4 & 4a Brook Drive, Sheffield S3 7HN. A conversion of an old Georgian pub into two fantastic modern apartments. 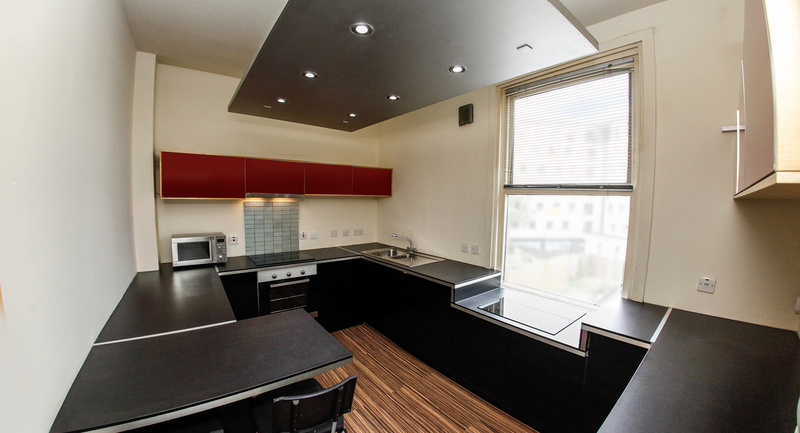 These student apartments are an ideal choice for any large group of students wanting to live together. The first is a 9 bed ground floor apartment with a large paved garden (including patio furniture) and huge utility cellar / storage. The second is a spacious duplex apartment over two floors. 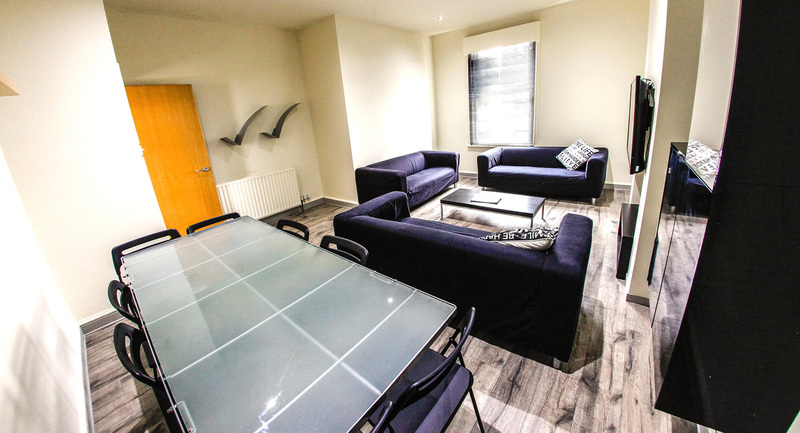 These spacious fully equipped student apartments are great for socialising with enough room for all your friends (and all their friends). Three trendy sofas around the smart TV - movies and gaming sorted. Dishwasher and waste disposal unit - to clear away the mess. Washing machine and drying machine - to keep you looking your best. 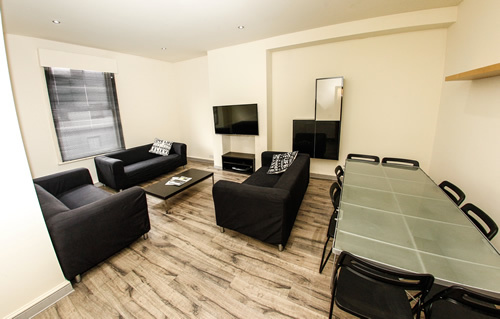 Each fully furnished apartment offers a high spec dining kitchen, living room with TV and comfy sofas, luxury shower rooms, study bedrooms with double beds and utility room with washing machine, drying machine and extra storage. 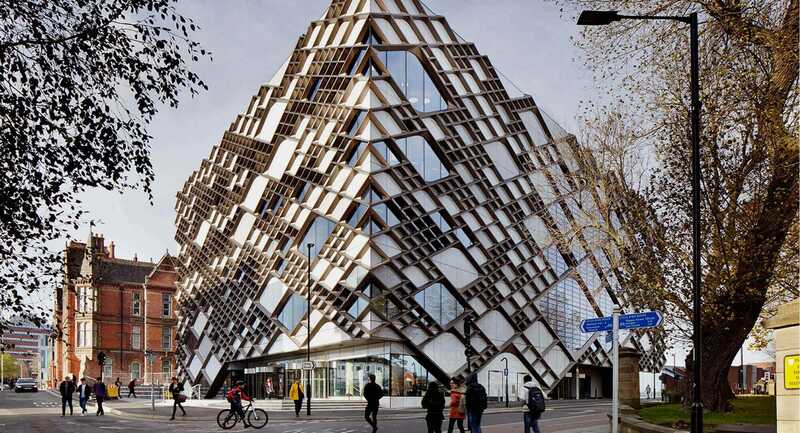 You could not get much closer to University than this! Excellent location, a short walk from the city centre, excellent transport connections, parks and recreation. Per person per week including utilities.